This is why we need vehicle inspections in Oklahoma. I took this picture on Robinson Street in Norman. 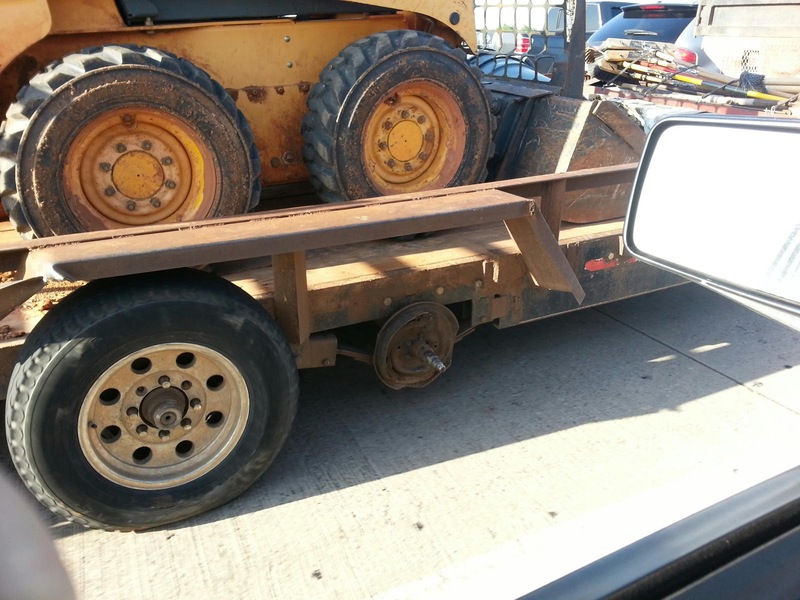 Look at the one wheel still attached to the trailer, it has 5 of the 8 lug nuts. Three studs were busted off. He didn’t even bother to have tires for the other axle. And, AND! he had it loaded with a Bobcat. Making it obviously overweight for a single axle. Is it any wonder he hasn’t killed anyone yet? Where are the cops when you need one? Please be safe out there and not stupid like this guy. Thanks for reading being safe and Happy Rovering. This entry was posted in stupid is as stupid does. Bookmark the permalink.